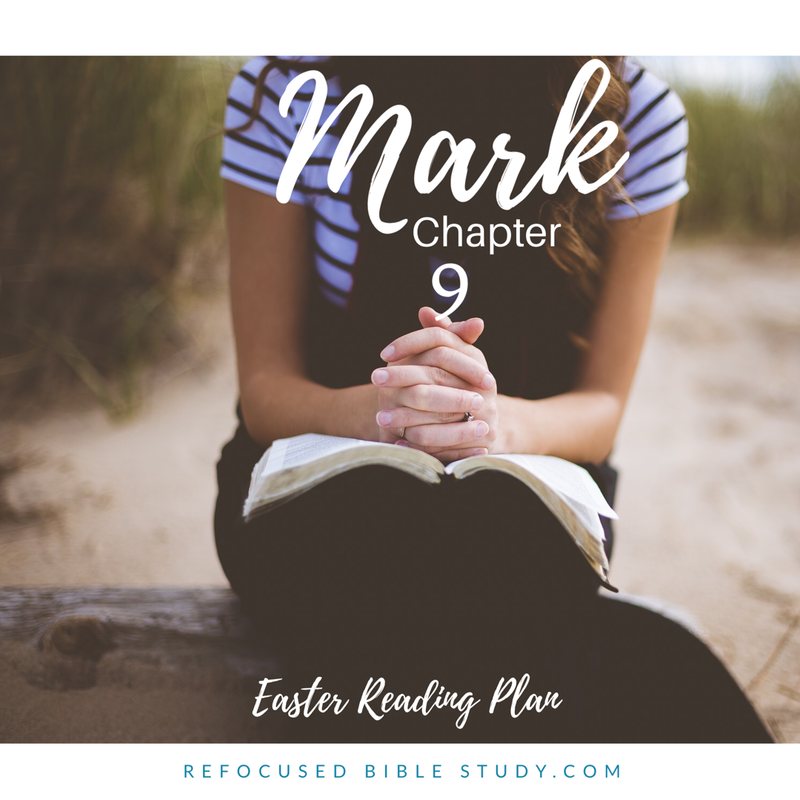 It’s day nine of “Mark, one chapter a day for Easter.” here at Refocused Bible Study. If you missed the details of the study, you can find them here. We’d love for you to join us! Today while I was reading I was mostly drawn to verses 2-13, honing in on verse seven. Once again, I’ll be sharing today using the quiet time format for this reading plan, an acronym for M.A.R.K. (see image below). Patterning your time in the Word with a structure similar to this one will help you interact with it and not merely read it and forget about it. The Word of God is so powerful, and the Lord wants nothing more than to see you ask him to be your teacher so he can guide you into his truth, I am just here to encourage you along the way! Application: Listen to Jesus. A few nights ago at dinner, my husband was talking to my kids about listening more than they speak, and being slow to speak and quick to listen. He showed them how we have two ears, but one mouth. It takes practice and commitment to listen to Jesus; to really hear his voice. We have to be in his word and in tune with him in prayer. Praying to him before and while you are reading your bible is a great place to start asking him to speak to you. Write down what you hear. Make sure it aligns with the rest of scripture. God stills speaks to his people. We just have to recognize his voice. Review: Jesus took Peter, James, and John to the top of a mountain. Jesus’s appearance changed, and Elijah and Moses appeared there with him. Then, a cloud came over them and the voice spoke this verse. Kneel in prayer: Lord, I pray we will seek your voice in your word and in prayer. We believe you still speak to us. Please help us hear you and follow you. In Jesus’ name, Amen. I’d love to hear your verse of the day! Comment below! I love this. It is hard in this fast paced world to find time for Jesus but, that is the most important thing you can do for yourself. Thank you for this post! I know, this life gets busy! It takes intentionally to seek Him first! It’s so important to end our time in Scripture with prayer. Thank you for that reminder.